You peek in on your site and find things look awry and aren’t working properly. AACK! Nobody wants to start their day that way. 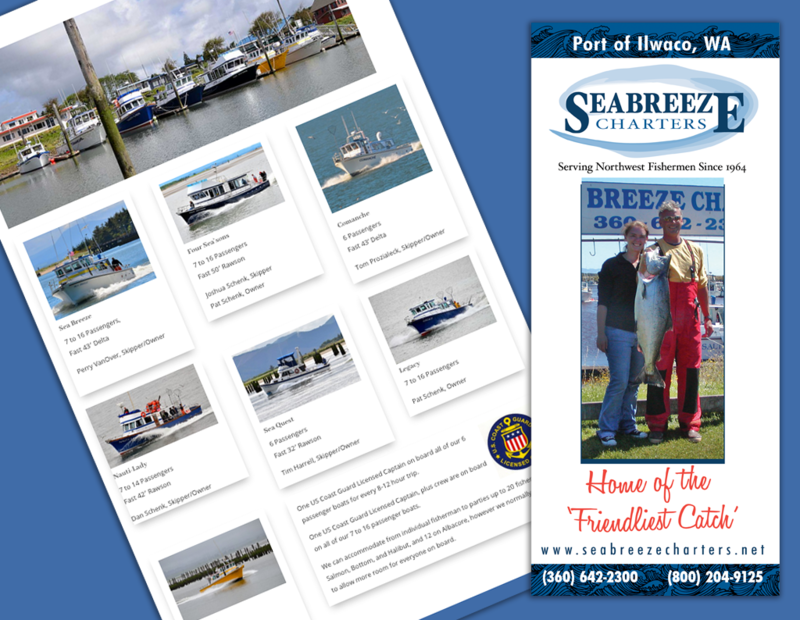 This past week was time for the annual update of SeaBreeze Charters website and brochure. The site hasn’t haven’t been on a maintenance plan; it was overhauled just three years ago. Unfortunately, when we logged in to do the work, we found a site that was quite jumbled. What should have been less than an hour’s work turned into a baker’s dozen hours–and that was taking the path of least expense. Ouch. We offer maintenance plans for sites we host to reduce the risk of experiences like this one, and to clean up the mess if it does. They are a good value and much recommended. But what if it’s already happened? Take a deep breath, then give us a call (360-642-4431) or zap us an email. We’ll first assess the situation; many times cleanup is relatively minor and the site can be back to itself in short order. Sometimes, it is complicated enough that our recommendation is to overhaul the site to abandon all the conflicting code. That’s what happened to SeaBreezeCharters.net. Check out their new look! In addition to signing up for a maintenance plan, it’s wise to talk with your webmaster about doing a major update to your site every 3 years or so. This ensures you are taking advantage of changes in internet technology and that your site remains responsive to all browsers, devices, and monitor sizes. It gives you the opportunity to update the look of your site as the culture of your target demographic is changing. Updates don’t have to be overly expensive, and you can keep costs down by being proactive. There’s no charge for having a conversation with us here at beachdog.com. We list your goals, analyze the site in relation to them, and come back to you with cost estimates for various activities recommended to hit the target. There is no commitment on your part until/unless you order work, and Great Dane hugs are free. Previous Don’t you just love a good before-after story?